On recommendation from the MWRA Advisory Board, the MWRA Board of Directors approved an enhancement to the Local Water System Assistance Program to provide up to $100 million in 10-year zero-interest loans to communities solely for efforts to fully replace lead service lines. Each community will develop its own program, tailored to their local circumstances. 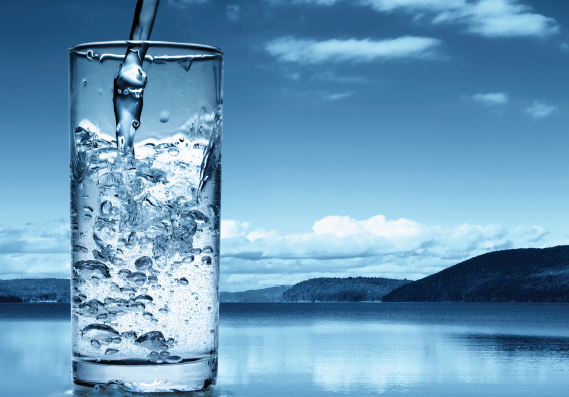 MWRA’s goal in providing financial assistance to member communities is to improve local water systems so that the high quality water MWRA delivers can make it all the way to consumers’ taps. 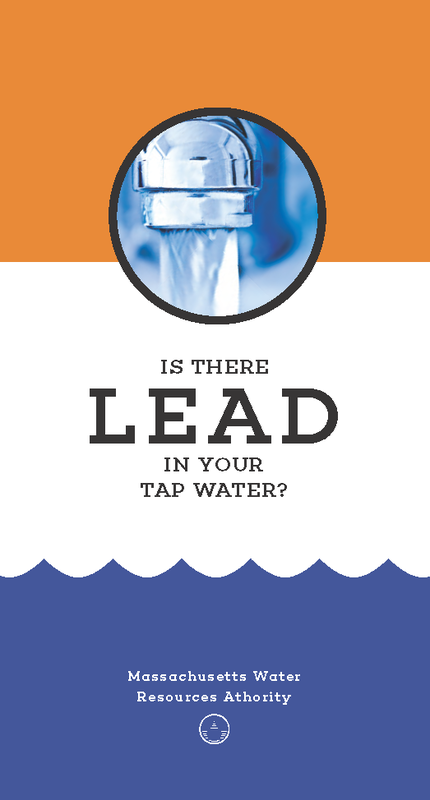 The presence of a lead service line connecting a home to the main in the street can lead to elevated lead levels in tap water, especially if that water sits stagnant for an extended period. MWRA’s stable water quality and effective corrosion control treatment reduce the risk that a lead service line will cause elevated lead levels; measured lead levels in high risk homes have decreased by 90 percent since corrosion control was brought on-line in 1996. However, the risk of elevated levels remains as long as lead service lines are in use. The approved $100 million in loan funds will be provided as a pool of funds available for distribution to all eligible communities for distribution beginning in FY17 for local lead service line identification/removal projects. MWRA has a total of 50 water communities (with Dedham/Westwood Water District counted as one), of which 45 will be eligible for financial assistance under the Lead Service Line Replacement Loan Program. The five ineligible water communities have special case consideration, these include: Cambridge, which receives MWRA water on an emergency-only basis; Lynn, which receives MWRA water only for the GE plant; as well as Clinton, Leominster (emergency only), and Worcester (emergency only) that draw untreated (raw) water from the Wachusett Reservoir. Free Bill Insert Size brochure (Free download, PDF): A colorful brochure emphasizing potential risks of lead in tap water, how customers can reduce lead exposure and the benefits of full lead service line replacements. (Dimensions 3.5" X 6.5"). To assist member communities and other stakeholders, MWRA is providing free Lead in Tap Water informational brochures (bill stuffer sized) for local distribution. For more information, please contact Joshua Das, MWRA Project Manager at joshua.das@mwra.com. The program provides 10-year zero-interest loans to communities to create local programs to fully remove lead service lines from the community water main all the way to the home or business. The LLP Program Guidelines and Application Form for Lead Service Line Replacement Loan Program Projects are available here (PDF). Details on eligible project costs are in Section 2.7 of the Program Guidelines and outlined below. Applications for financial assistance are due to MWRA at least one month prior to the quarterly distribution date. Binding commitments to provide financial assistance for local water projects will be issued by MWRA in the form of a financial assistance and loan agreement subject to the availability of funds. The loan agreement will incorporate an opinion from the community's bond counsel stating that the loan is a valid general obligation of the municipality. Financial assistance will be distributed quarterly, on or about: February 15, May 15, August 15, and November 15. The financial assistance award will be transferred into a Massachusetts Municipal Depository Trust (MMDT) account established by the community. All Lead Loan Program financial assistance funds will be applied to the cost of approved community lead service line replacement project costs. All earned interest from the MMDT account, will be applied to the cost of approved community lead service line replacement project costs or other community water system rehabilitation projects. The interest-free loan will be repaid to MWRA over a ten-year period, beginning one year after the original quarterly funding distribution date. Community projects to identify and replace water service lines so that all lead pipes are fully removed from both the public and private portions of the service line will be eligible under the Lead Loan Program. As part of the application process, the community will be required to describe how they plan to address private lead service lines. Identification of water service connections (or portions of service connections) constructed of lead including related records research, inventory/database development, house to house inspection, development of outreach/education materials, mapping of lead service lines, etc. Construction, rehabilitation, or other improvements to replace lead water service lines to fully remove all lead pipe. Costs for water pipeline rehabilitation incidental to the replacement of lead service lines are eligible. The replacement of lead gooseneck connections is eligible, either when encountered during water system rehabilitation/construction or if targeted through a specific rehabilitation project. Slip lining of lead water services will not be eligible. Community projects that provide a homeowner incentive for lead service line replacement through rebates for privately funded lead service line replacements or other similar incentive program will be eligible. Costs that are reasonable and necessary to repair private property areas directly impacted by eligible construction work so that the private property is as near as practical to existing conditions. Eligibility of work on private property may need to be reviewed on a project by project basis. Work to improve private property will not be eligible. Paving costs that are reasonable and necessary to repair the roadway and/or sidewalk areas directly impacted by eligible construction work will also be eligible and will be reviewed on a project by project basis. Eligibility of trench width pavement versus full width overlay pavement will be reviewed on a project by project basis. Cost for full depth roadway reconstruction will not be eligible. Police details associated with eligible project work are eligible. Planning and design services in connection with eligible lead service line replacement projects are eligible. Resident engineer inspection and construction administration services in connection with eligible lead service line replacement projects are eligible. Direct labor only (not including overhead or overtime costs) for force account work associated with planning, design, construction, or construction inspection of eligible lead service line replacement projects are eligible. Establishment of a Massachusetts Municipal Depository Trust (MMDT) or similar account used solely for the deposit, withdrawal, and tracking of financial assistance funds and Bond Counsel services, or other legal services, in connection with review of the Loan Agreement, Water Bond, and opinion of Bond Counsel are eligible. 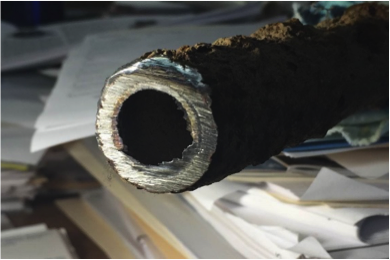 As a secondary measure, communities’ lead service line replacement programs should include replacement of lead gooseneck connections when encountered during infrastructure rehabilitation or construction. Quincy received a $1.5 million loan in December 2016 to fund its program targeting the removal of 210 identified public/private lead services. Quincy is paying the full cost of both public and private lead service line replacement. Quincy removed a majority of the targeted services (both lead services and lead-lined steel services) during the 2017 construction season. During 2018, Quincy will continue to follow-up with homeowners who have not yet participated and may move on to identified lead gooseneck removals and/or additional lead-lined steel service lines. Winchester received a $500,000 loan in March 2017 to fund the first phase of its program targeting the removal of 240 identified public/private lead services and 668 lead goosenecks. Winchester will pay all costs for replacement of lead pipe on the public portion of services and the first $1,200 in costs on the private portion of services for homeowners who participate. The project began during the 2017 construction season with 29 water services having been worked on; some full replacements, some private side only replacements (where the public side had already been removed), and some that only needed a public side lead gooseneck removed. Winchester will continue construction work in 2018 and, in the future, may move on to a second phase program, depending on the outcome of the first phase. Newton received a $4.0 million loan in May 2017 to fund the replacement of up to 584 public/private services that contain some portion of lead (lead service lines, lead gooseneck connections, lead fittings, etc.). The City has offered private homeowners the option of a 10-year interest-free loan to finance the cost of lead service line replacement on private property. The project began during the 2017 construction season with 179 water services having been worked on at a cost of about $7,900 per water service for both engineering and construction. The construction project will continue in 2018. Marlborough received a $1.0 million loan in September 2017 to fund the replacement of approximately 200 lead service lines. This is the first phase of a large project targeting all of the city’s 1,350 lead service lines. Marlborough is paying the full cost of both public and private lead service line replacement. Some construction began in the fall 2017 and the project will ramp-up construction in 2018. Revere received a $195,000 loan in November 2017 to fund the design portion of their lead service line replacement project. The design will be complete in spring 2018 with construction to follow. Revere has obtained SRF funding for the construction project that will remove up to 282 lead service lines. Revere is paying the full cost of both public and private lead service line replacement. Winthrop received a $284,000 loan in December 2017 to fund the replacement of 20 full and 17 private-side only lead service line replacements (where the public side had already been replaced). This work is Winthrop’s first phase of lead service line removals associated with a specific water main construction project. Winthrop is paying the full cost of both public/private lead service line replacement. This project is expected to be completed in spring 2018. Winthrop is planning a future expanded program using additional MWRA LLP funding to remove an estimated 800 public and private and 600 private-side only lead service lines. The Lead Service Line Replacement (LSLR) Collaborative, a diverse coalition of 23 national public health, water utility, environmental, labor, consumer, housing and state and local government organizations, released an online toolkit designed to help communities across the United States accelerate removal of lead service lines. Removing these lead pipes provides an opportunity to significantly reduce the risk of exposure to lead in drinking water. The Collaborative's toolkit includes a road map for getting started, suggested practices to identify and remove lead service lines in a safe, equitable, and cost-effective manner, policies that federal and state leaders could adopt to support local efforts, and links to additional resources that may be helpful when developing local programs. This standard describes essential procedures for the replacement of lead water service lines and flushing following replacement. It also describes procedures for partial replacement and repair situations where complete lead service line replacement is not possible or practical. This 1905 report (PDF) notes the materials used for water service pipes in cities and towns throughout Massachusetts. This article includes a table listing the number of water service pipes made from different materials for many Massachusetts communities. The water service pipe materials include: lead, lead lined, wrought iron, galvanized iron, cement lined, and tin lined. PDF files on this page require Adobe Acrobat Reader® (free download).